The year ends and the music charts remain woeful. While there is no shortage of incredible new music available, the notion of such material connecting in a mainstream sense is at its most woebegone state. Music aficionados, young and old, will hopefully agree with that sentiment. The American rocker Billy Corgan, he of the seminal alternative band The Smashing Pumpkins, has been in the UK of late spitting venom at the people of Blighty, chastising them for everything from the crap weather to complaining about how this nation has never given his band proper dues. All this comes in the light of the Pumpkins’ ninth studio album Monuments to an Elegy flopping this month. It did badly in the UK but it was the album’s terrible performance in the States that got Corgan’s ire. Pumpkins’ albums went Top 10 in the UK as long as Corgan was accompanied with a member from the original band line-up, but the USA was always more accommodating to new changes – willing to buy into the brand regardless of vicissitudes. 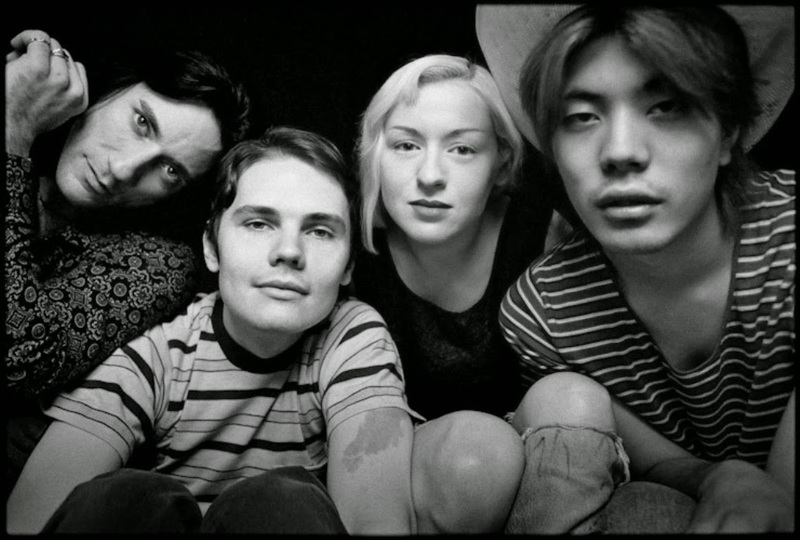 The Smashing Pumpkins, at least in its original incarnation, was one of the most important bands in the history of popular music. It was an alternative band that was both multicultural and gender-mixed, producing songs and music videos that defined a generation. There has not been another band since that original line-up who comes close to matching their uniqueness and impact. But honestly speaking, the Pumpkins ceased being the Pumpkins after guitarist James Iha and bassist D'arcy Wretzky jumped ship. 2007’s Zeitgeist was the last Pumpkins’ album featuring original drummer Jimmy Chamberlin, and in that sense it was the last record that had moments of brilliance, though nothing that came close to former releases. However much the Pumpkins was Corgan’s property, there was obviously some kind of fantastic influence the original band members cast on those albums that can’t be recaptured. It’d be fair to say that the British press has often been mean to Corgan. But Corgan’s erratic chagrin speaks more about an aging rocker trying to make sense of how his relevance became progressively questionable. It also sheds light on how music is no longer the primary means of youth identification. Youth identification has become more about branded concepts and personalised social media trends. Depressingly, music just ain’t that vital anymore. Corgan’s muddled angst at the current music scene, or at least the disappointment at his lack of importance in it, fails to account for just how disposable music is in 2014. For an American teenager digging music circa 1974 wouldn’t have been vastly different from the 1994 teenage equivalent. The music charts back then were riddled with stadium guitar bands, you still frequented your local record emporium to purchase stuff, and radio airplay still mattered. The entire scenario has altered in unprecedented ways since then, and the actuality that music is no longer at the core of youth identification has been something many can’t accept. We’re now living in a culture where a kid can listen to a pop song they enjoy and repeat it endlessly on their gadget. The idea of tuning into a radio station to listen to a playlist curated by someone else, where one may have to endure twenty songs they dislike until something new and enjoyable plays, just isn’t how things work today. We have greater and more affordable access to music than ever before, but we’re more limited in what we’re actually open to. If everything sounds the same then we’re totally happy with that. Corgan was very keen to highlight America’s current “pop menace,” pinpointing that as the reason why alternative music is surplus to requirement. The States is in the grip of a meaningless mainstream culture and, unfortunately, much of it has seeped onto these shores. If Corgan was considered pretentious by UK standards twenty years ago then, suffice to say, there’s no reason for that to change now, especially when his album is titled Monuments to an Elegy. But rather than ridicule Corgan, let’s give him the benefit of doubt. 2015 is days away. We’re at the midway point of this decade; a period for what these times will be remembered. And its crap. The state of the world is horrid. The movies are lame. The television shows are bloated. The reading of books has somehow become a specialist activity. The music is rubbish. While Billy Corgan licks the wounds to his ego and makes another attempt for us to accept his genius by readying the band's tenth studio album Day for Night for sometime in 2015, perhaps this coming year will mark a turning point. Even if Corgan’s career remains on the skids, maybe now is the moment―be it in alternative or urban music―that a sea change occurs. Maybe from now on things will get seriously cool. But then again, this blog makes similar prognostications every year and ends up looking foolish. Truthfully, a change will come and it will happen when least expected, catching everyone by surprise because it will not be foreseen. It may not even come from Europe or America and might not be any form of music we currently envisage, but it’ll be phenomenal. At least that’s mine and Billy’s hope, though, whether he has any place in it will be seen.